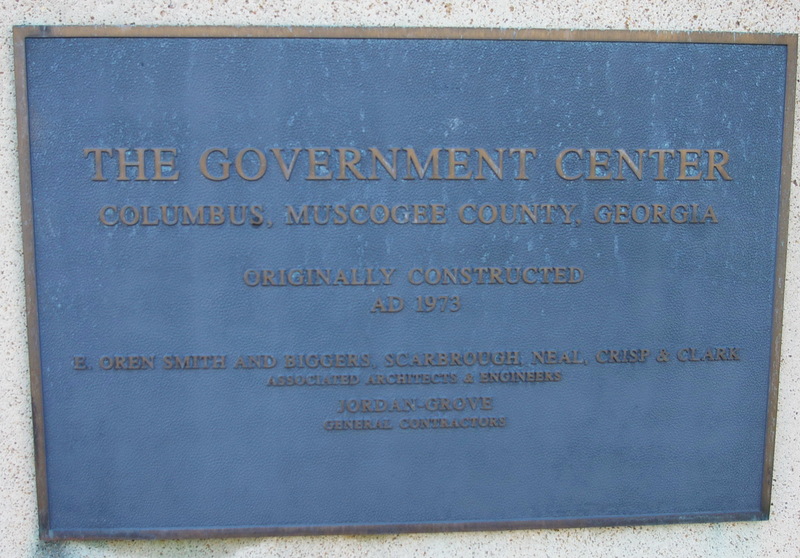 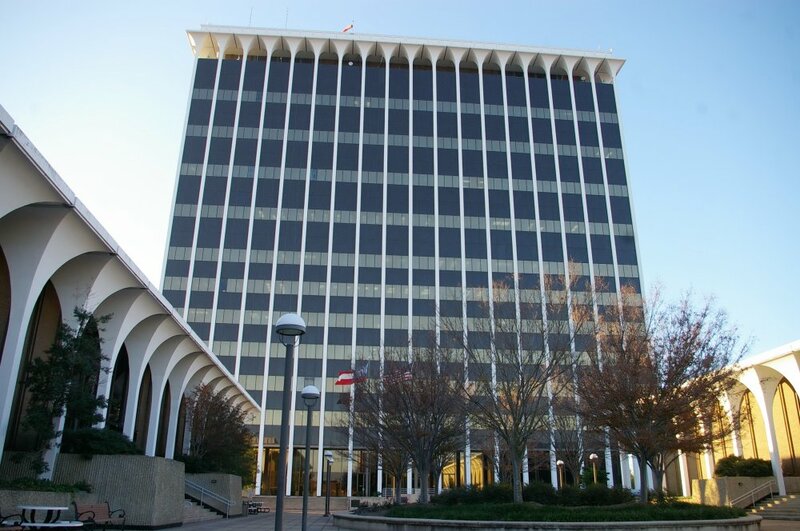 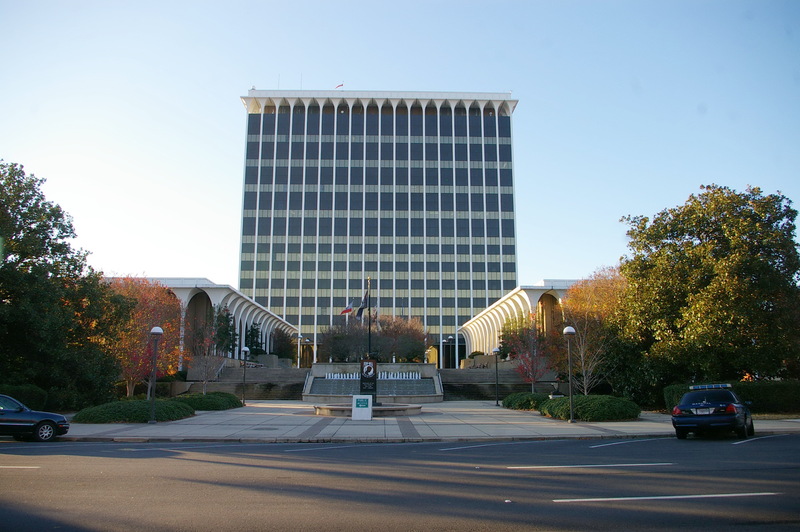 Muscogee County is named for the Muscogee Native American tribe known as the Creek Indians. 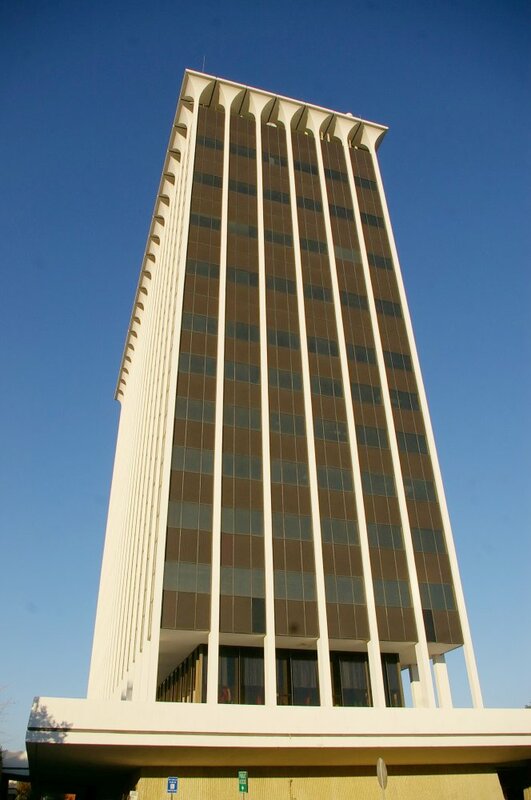 Description: The building faces north and is a twelve story concrete and glass structure. 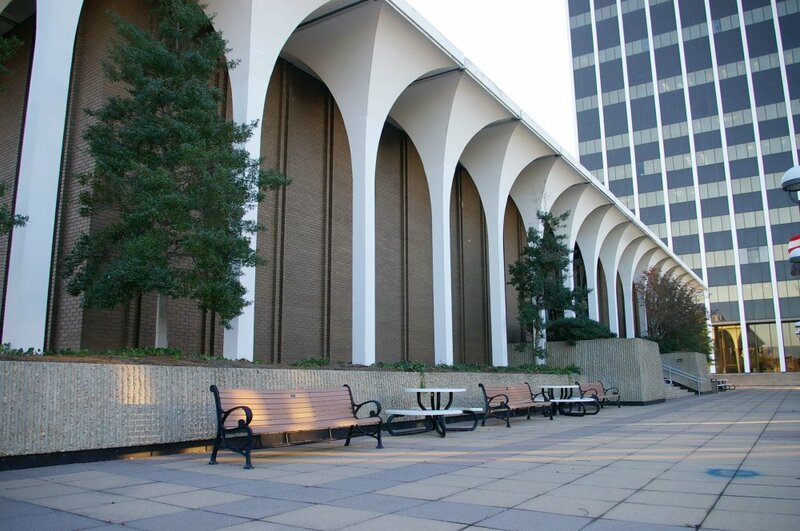 The building sits at the south end of a plaza flanked by one story buildings on the east and west sides. The main building has horizontal panels between each story. The building has a flat room. 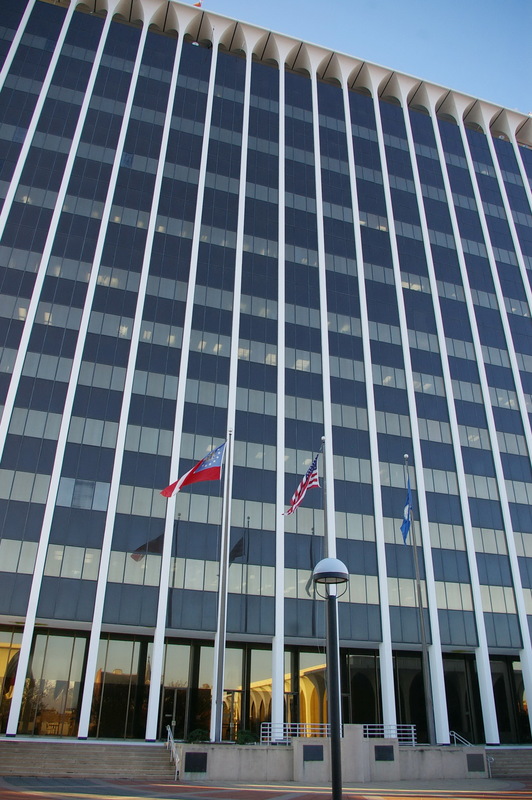 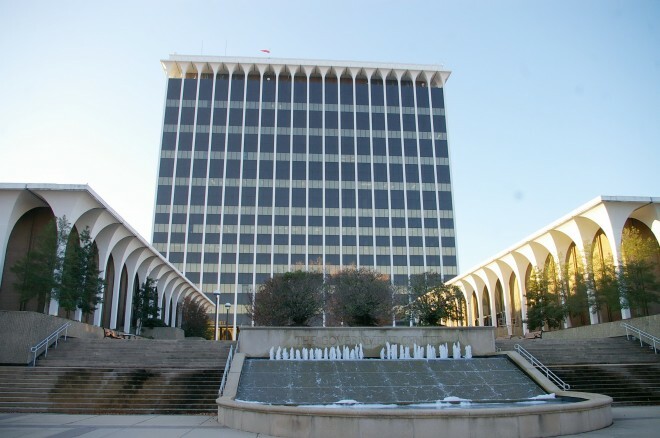 The building houses the merged county and city government and is The Government Center.